The Vivo Xplay5 Elite is fully tricked out in the hardware department. And it's not just the mighty Snapdragon 820 chipset we're talking about, no - the smartphone is one of the few members of the (well...) elite 6GB RAM club. Other members include some versions of the OnePlus 3, LeEco Le Max 2, Asus Zenfone 3 Deluxe, ZTE Axon 7 and ZUK Z2 Pro. Our OnePlus 3 review unit did indeed come with as much operating memory, but not the Le Max 2 we tested, and the other models we're yet to experience first-hand. Plenty of Snapdragon 820s already in our benchmark database, though, so we're not short on options for comparison. There's an Helio X20 and an X25 too, plus the odd Kirin and Exynos 8890, so we can get a pretty good picture of where the Xplay5 Elite stands in terms of raw power. Kicking off with a CPU-focused test, GeekBench puts the Vivo in the middle of the pack when it comes to multi-core performance. It's the Kirin 955 inside the P9 that leads the way, closely followed by the Helio X25 in the Meizu Pro 6 and the Samsung Galaxy S7 with an Exynos 8890. Some 1000 points below the Snapdragon 820s come, very tightly spaced, with the Vivo showing about average results. When it comes to single-core performance, the Xplay5 Elite moves up the flagship ladder a little bit, but mostly due to the lower numbers of the non-S820 models. Among its peers with Qualcomm's high-end silicon, the Elite is again in the middle. In Basemark 2.0, which sums up an extensive number of tests including CPU, memory, and storage, the Elite posts excellent numbers, but then so does the competition. 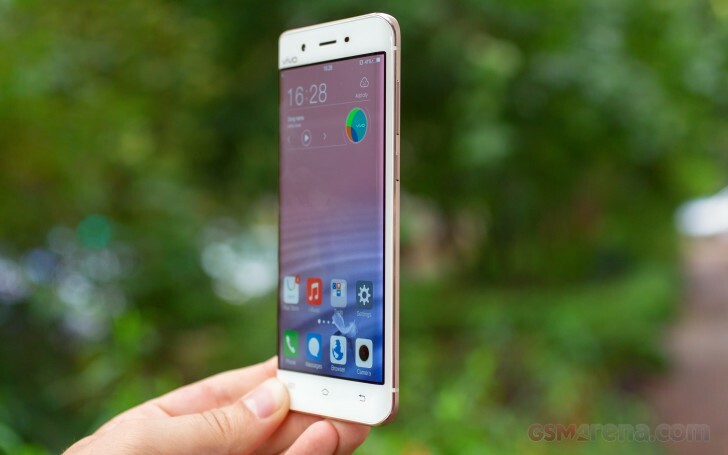 Vivo's flagship scores virtually identical to the Xperia X Performance and Xiaomi Mi 5, all three of them somewhat behind the Snapdragon version of Samsung's current flagship and the OnePlus 3. Antutu tells a slightly different story, one that puts the Vivo Xplay5 Elite in a more favorable light. Neck and neck with the OnePlus 3, the two are only second to the HTC 10. The rest of this year's cream of the crop are ranked lower. Now had it not been for the HTC 10, we could have reasonably deduced that 6GB of RAM does indeed make a difference. Well, it apparently does, but there's more to it, as the Taiwanese flagship can attest. On the graphics front the Adreno 530 is a proven top performer, even when it needs to deal with QHD resolution as is the case with the Vivo Xplay5 Elite. In fact, the score in Basemark X is the highest we've seen. In the OpenGL 3.1-enabled Basemark ES 3.1 the Elite returns from exceptional to average for this esteemed selection. The humble Huawei P9 is the last in this test, and the Vivo outpaces the Xperia X Performance and Le Max 2, with the Mi 5 and G5 in its crosshairs. The OnePlus fares better in this test, but it's no match for the Galaxy S7 and its 12-core Mali GPU. In GFXBench the strong results continue, with the obvious note that due to the QHD resolution onscreen tests will inevitably produce lower frame rates than the standardized 1080p offscreen runs. A frame per second here and there splits the S820/Exynos 8890 rivals, and the other chips are not quite in the same league.